Why brave? Yes, because by itself the generation of the world is already a great danger to life. 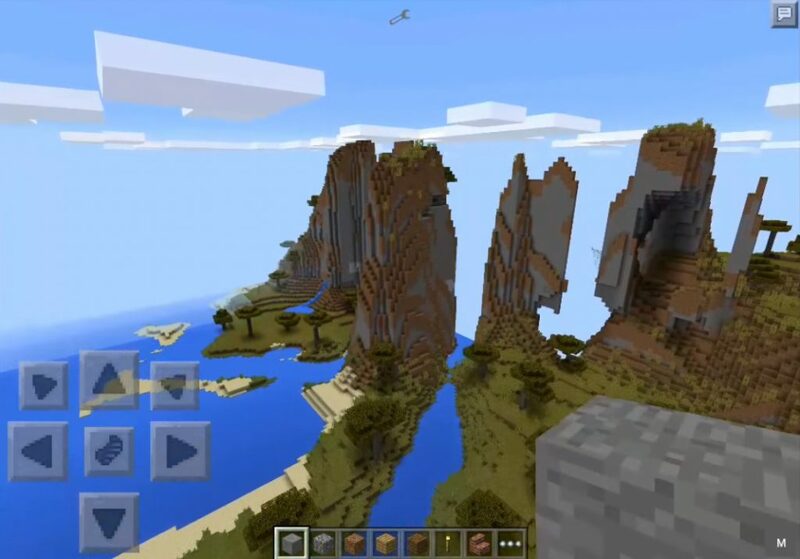 If you have ever been to the mountains in Minecraft PE, you know that in order to survive, you must possess the minimum skills and important information on how to behave in such places. If there is a lot of snow, you can not make noise, and if you just have tall rocks in front of you, without special insurance, climb to the top – you can not in any case. Seed Extreme Mountains in Savannah 1.2.0 – this is primarily a combination of beautiful species in multiple deadly dangers. In which the player can get, not knowing it. It is important not to rush to explore the area as quickly as possible. You should first think over your actions and only then take the first steps towards achieving the main goal. Moreover, as you later realize, this led – not only represents the presence of many peaks, it also has several residential buildings. So say a small village among the mountains in the jungle. Fantastically beautiful and unique sight! This you have not seen in any other seed. 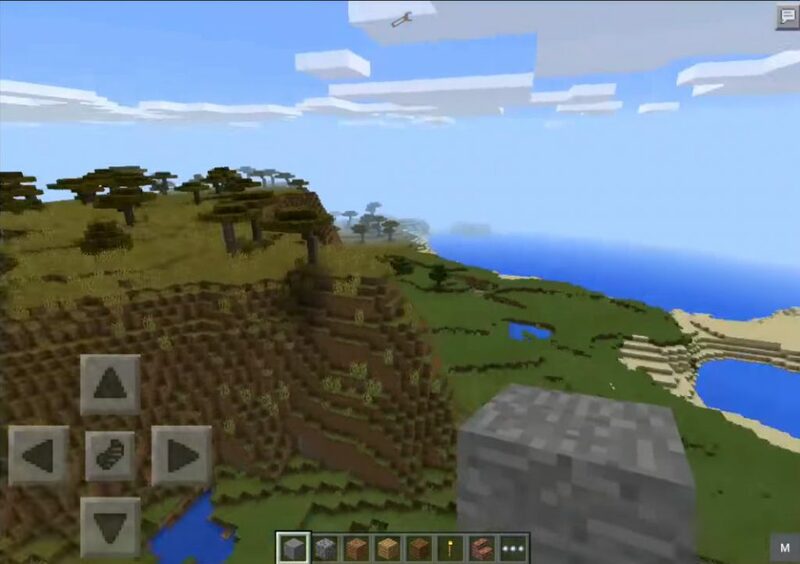 Also, Extreme Mountains in Savannah 1.2.0 will be surprised by the crafter with a special generation – a stone island, which seems to be floating in the air. Perhaps, for the sake of this, it is worth hurrying to study this new seed. 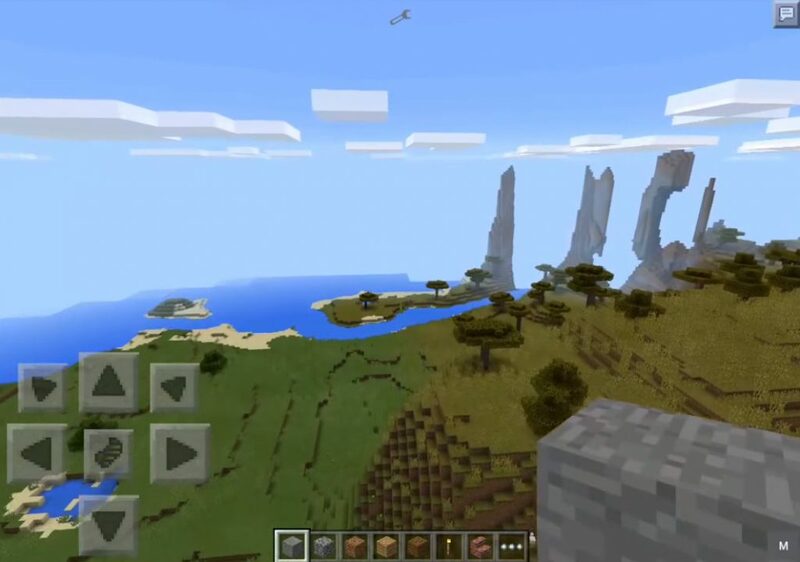 Before you put the seed, check the version of the game, if you want to see all the greatness of the mountains, the client must be the latest version – not lower than Minecraft PE 1.2.0.